Located in the heart of Metro Corporate Center in North Phoenix with the Black Canyon Conference Center directly behind us. The newest solution for longer-stay travelers or for travelers who desire more room to stretch out and get comfortable. 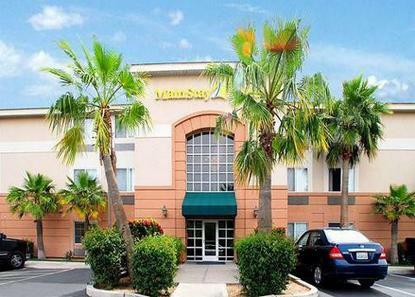 As an extended-stay hotel, this is your home away from home. Roomy, studio suites with fully equipped kitchen, sofa-sleeper, desk, high speed Internet access, two phone lines, voice mail and speakerphone. Time to relax...enjoy the outdoor pool and spa, courtyard with BBQ grill, fitness room, and fresh baked cookies nightly. Minutes from major sporting events, restaurants and shopping. Business Center on-site. Changing reservation length of stay may effect nightly rate.